The quarter finalists for the Eric Apperly Shield, the leading 21 years and under men’s inter-club pennant in NSW, have been determined following the five round preliminary qualification series. Defending title holders Concord along with Pymble, Monash, The Australian, St Michaels, ACT Monaro and Far South Coast have respectively qualified for the final series which starts this Saturday in Sydney. The Eric Apperly Shield is a contest between the two clubs consisting of six Individual Matches played over 18-holes of match play without the benefit of handicap. These series have seen a number of impressive results with The Australian, Pymble and St Michael’s winning all their matches. 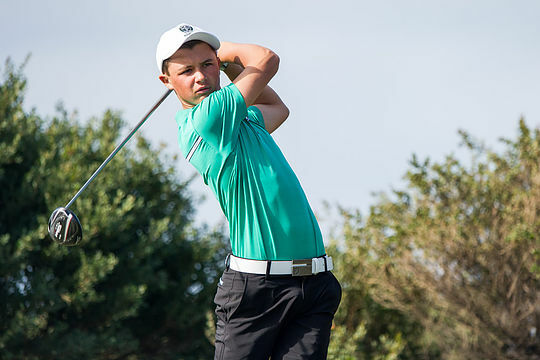 The St Michael’s outfit has been particularly impressive with four members of their six man team at just 15 years or under, which also includes two current state age match play champions and players who have won multiple times in junior ranking events. St Michael’s is a team that has punched well above its weight with the ‘young guns’ disposing of more seasoned players seeing the club easily accounting for Division 5 with its bottom order primarily securing the wins over NSW, Oatlands, Cromer, Stonecutters Ridge and Woolooware. St Michael’s, multiple winners of this flag, have a bye for the opening quarter final and have moved straight to the semi finals scheduled for 28 August. The Australian has been nothing short of impressive taking out Division 3 with style having been spearheaded by former US Collegiate player Justin Warren, state representatives Kevin Yuan, Blake Windred and Issac Noh. The Aussie bottom order includes Lachlan Robinson and Dylan, both seasoned match play exponents. The Australian’s 22-2 match record is a scary statistic and indicative of the punch this team will take into the finals after smashing Avondale’s best team last Sunday 5-1, having the week before disposed of Liverpool, 6-0. The Australian will meet defending flag holders, Concord this weekend at Cumberland in what promises to be a classic inter-club match up with the winner meeting St Michael’s at Oatlands in the semi final. Concord is a team which has undergone some changes from its winning team of last year with team stalwarts Nick Watts and Jac Delaney no longer eligible. Concord’s new recruits have filled the void nicely with the team securing three wins and a draw in their division. Pymble is a club which has been quietly going about its business and took out Division 4 with a 5-0 record. A traditionally strong inter club that has produced many a fine amateur player, Pymble accounted for the much touted Bonnie Doon club to secure its finals berth. A strong outfit primarily filled with home grown players, Pymble will present a real threat this weekend when they meet Monash. Monash took out Division 1 securing three wins and a draw and will be looking to make amends to its narrow lost in last year’s final against Concord which went to the wire needing to be determined by a sudden death play off hole between the team’s number one players.